The Streetside Spot program is a city pilot project aimed at encouraging businesses and organizations to turn an on-street parking spot into a temporary patio or deck — and the latest one has popped up on Beechwood Avenue. Before the presentations, before Mayor Jim Watson thanked everyone involved, even before the free pizza was passed around, a few people were already enjoying Ottawa's latest "Streetside Spot." And why not? The spacious deck-line structure on Beechwood Avenue — the city is referring to it as a "parklet" — provides an attractive (and free) place to sit to sip a coffee, chat with a friend or simply watch the world go by. "I think it's great," said Mary Bada, who's lived in the area since 1975. She was sitting on the deck with her father Daniel and his dog Picasso before Friday afternoon's official launch, attended by more than 70 people. "It's going to be a good way of joining the community, of having people meet. A nice little meeting place." The Streetside Spot program is a city pilot project aimed at encouraging businesses and organizations to turn an on-street parking spot into a patio or parklet. The city doesn't pay for anything, but does help choose the spots for safety. In fact, the cost of designing, building and insuring the patios and decks — not to mention paying the city a fee, in the case of commercial patios — has proved too expensive for some non-profit groups. The city was ready to green-light up to 25 locations, but only 11 ended up being viable. This year, seven businesses are installing on-street patios, while four parklets were given the go-ahead. 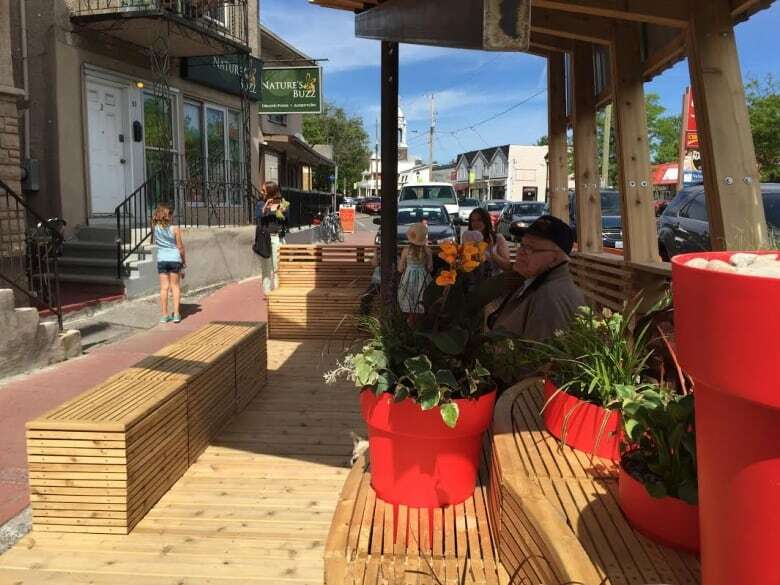 The Quartier Vanier BIA sponsored the Beechwood Avenue parklet, which is the sixth Streetside Spot to open. The rest should be finished in a couple of weeks, according to city officials. It was a costly venture: the deck cost the business group $20,000. And, says executive director Jamie Kwong, the BIA couldn't have done it without the Carleton University architecture students who designed the wooden deck, which features a sharply angled roof, benches and Vanier's signature red pots planted with flowers. The Streetside Spot pilot project is "about giving residents more opportunities to sit and rest and chat, and meet each other," said Rideau-Rockcliffe Coun. Tobi Nussbaum, who represents the ward where the Beechwood parklet is located. "It's about taking a space that would normally be used by a car," said Nussbaum. "We're trying to beautify, we're trying to pedestrianize, make our make streets more liveable, more attractive, more desirable." 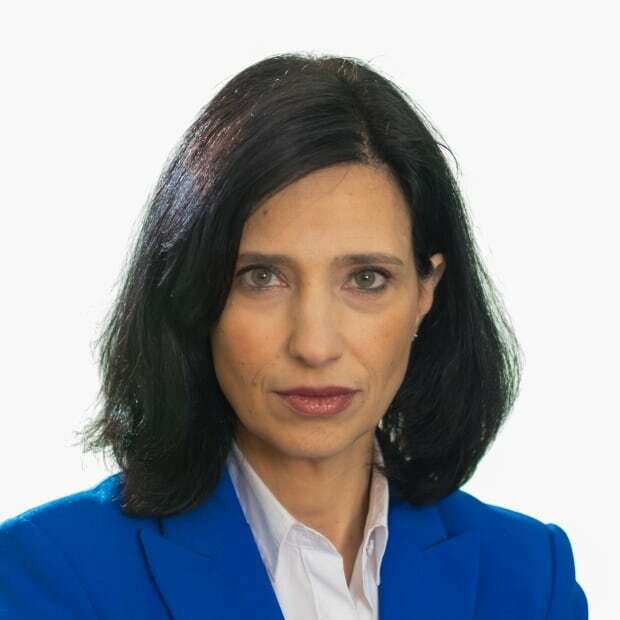 Nussbaum and other city officials haven't heard many complaints about the project so far, and those they have received are mostly concerned about traffic flow. There has been some confusion over whether the Streetside Spots would slow down traffic. But one of the city's criteria for locations of the temporary structure is that it be located only in a permanent parking spot. "So one of the things we've had to do is let people know that this is actually parking available at all times, and therefore it is not taking up a traffic lane. It's simply taking up a parking spot," said Nussbaum. "And I haven't heard a single person complain about the parking spot." The structures must all come down this fall. The city will then ask for feedback from businesses, the organizations involved, and the public before decided whether to make the program permanent. Bada predicts success for the Beechwood parklet. "People stroll a lot in the evenings, up and down this street, walking their dogs and their little kids. So it's a way to stop here and chat with the neighbours and just relax," she said. "And just seeing the outcome today, and how many people were actually sitting here before the presentation started, I think it's a good sign." 1. The Water Garden – Vanier BIA, 49 Beechwood Ave.
2. Percy Station, 605 Somerset St. W.
1. The Works, 326 Richmond Rd. 2. The Ministry of Coffee and Social Affairs, 1013 Wellington St. W.
3. Corner Bar and Grill, 344 Richmond Rd.